Arc Energy Resources is committed to upholding high levels of corporate social responsibility. Arc Energy Resources is a socially responsible, ethical company, with core values based on honesty, trust, respect, attention to detail, continuous improvement, and an enduring desire to exceed client requirements. We endeavour to build strong partnerships with all of our stakeholders, and are committed to sound environmental management, as demonstrated by our certification to ISO 14001. We are active in the local community, particularly working with local schools to encourage young people to consider a career in engineering. 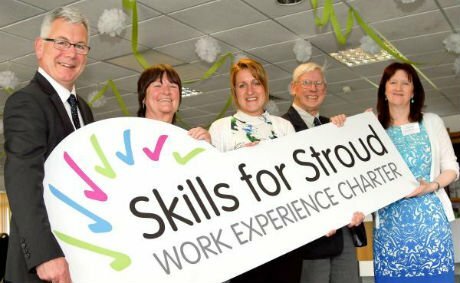 We offer work experience placements, and have been awarded the Skills for Stroud Work Experience Charter. We are also involved in the Go4SET project, a national initiative which links companies with groups of year 8 and year 9 pupils to produce a 10-week environment-themed project, teaching them skills such as specification-writing, project management and researching. In addition, Arc Energy is a bronze supporter of the Kidsafe charity, helping to ensure that local children are able to play safe and stay safe. Our chosen charity is the Great Western Air Ambulance. The service patrols the areas of Bristol, Gloucestershire, South Gloucestershire and North Somerset, and is run completely through charitable donations. The charity needs to raise in excess of £2 million a year in order to remain flying. 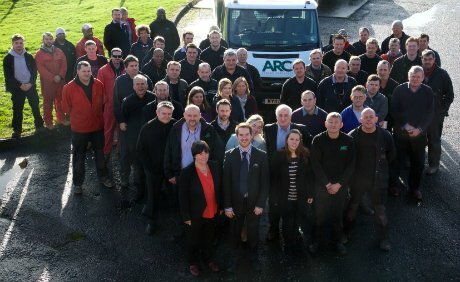 As a result of Arc Energy’s charity approach, the Payroll Giving Gold Award 2012 was presented to the company by the Charities Trust in celebration of the organisation’s decision to foster a culture of philanthropy and committed giving in the workplace. We are supporters of Hydro International’s ‘It’s A Knockout’charity fundraising event, having participated since 2007, proudly winning in 2009 and 2016. The event raises money for Water Aid, a charity raising money to provide safe and hygienic water for those in the world’s poorest communities.